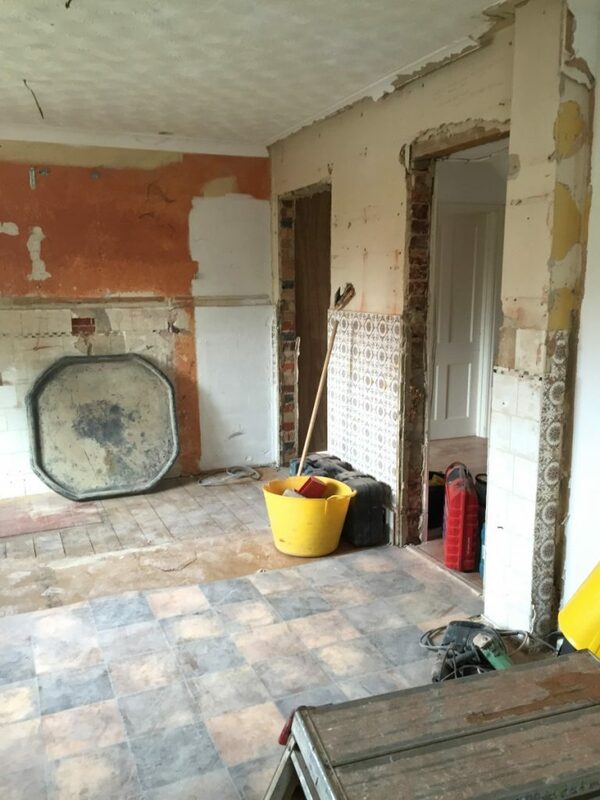 So, it’s now been a very long and I suppose in some cases, a slightly disappointing 8 weeks since work started on our kitchen and dining room remodel, to merge the two areas together to create a larger, and more usable family and social space. 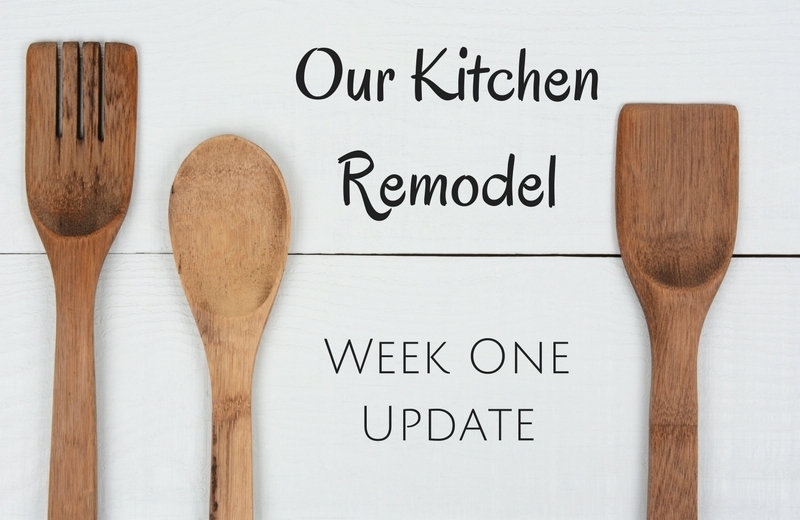 I kind of took a bit of a blogging break of the summer holidays, but as promised beforehand, I really want to let you see how far we’ve progressed with the building and remodelling on our house, and perhaps also share with you any learnings, hints and tips we’ve picked up along the way. And trust me, there have been a few! The good thing is, we can finally see the light at the end of the tunnel, and we’re very nearly at the end of this journey now, but if I’m going to let you know what’s really been going on, where’s better to start than at the beginning. Work commenced in what was a bit of busy and hectic week for us. The builders arrived to rip out kitchen and walls on the Monday, and we were due to fly off for our family summer holiday on the Friday. In hindsight, we were really very lucky to have timed our holiday, or the build project so perfectly, as while we spent two weeks away sunning ourselves in beautiful mainland Greece, we were fortunate enough to have missed probably the most noisy and dusty part of the build. 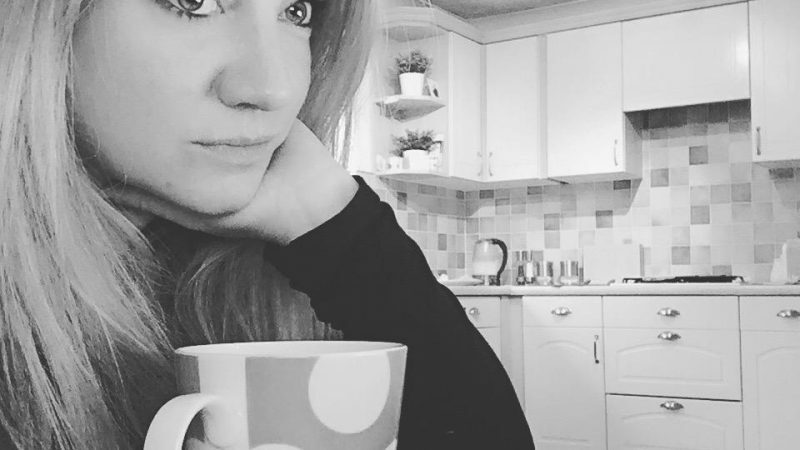 This worked brilliantly for us, as otherwise I think we’d have gone a little stir crazy, cooped up in just a living room and a bedroom with two excitable kids! Before we went away though, the plumber had to rip up our main bedroom carpet to fit pipework for the new boiler, so at the last minute, and whilst the spare room was being used to sort all our holiday things out, I had to move all my clothes out of the bedroom wardrobe and squeeze them all into the spare room along with everything else, so again, it was good not to have to sleep in the room too whilst the actual work was being carried out! 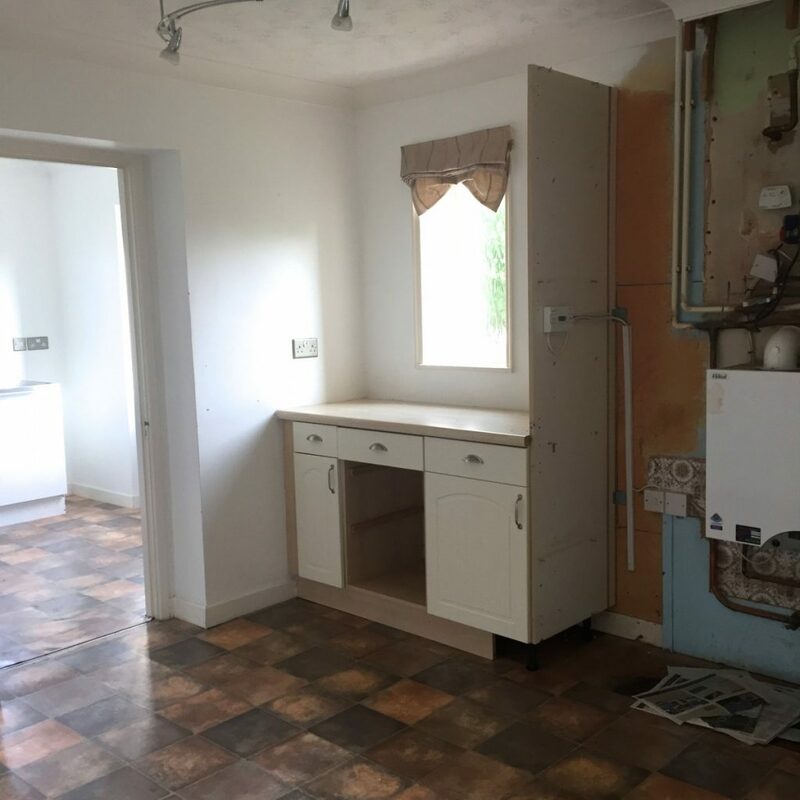 So, prior to us leaving, the build team had been in, ripped out the old kitchen and knocked down the walls to make the two separate spaces into one larger room. 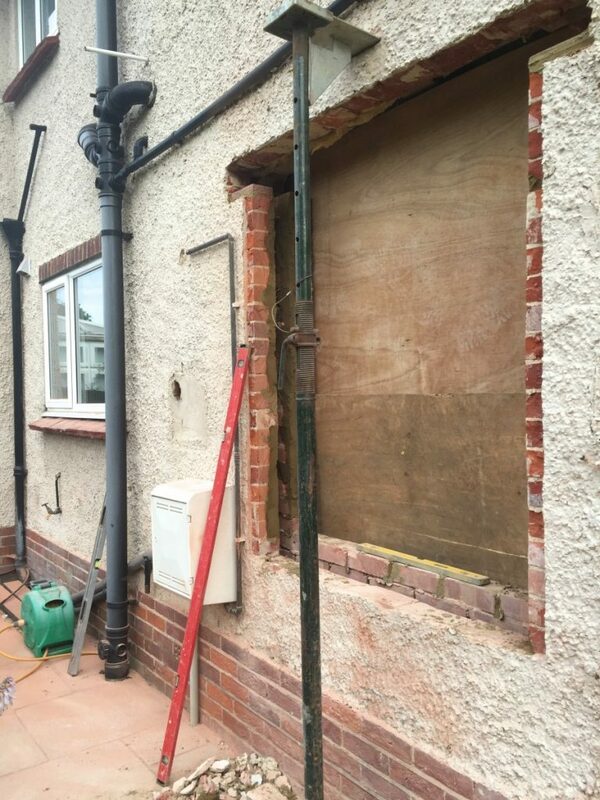 They also removed the old patio doors, bashed out the wall where the second set of bi-folds would be housed, and converted the existing small kitchen window into a much larger hole ready for glass to go in the following week once we’d gone. 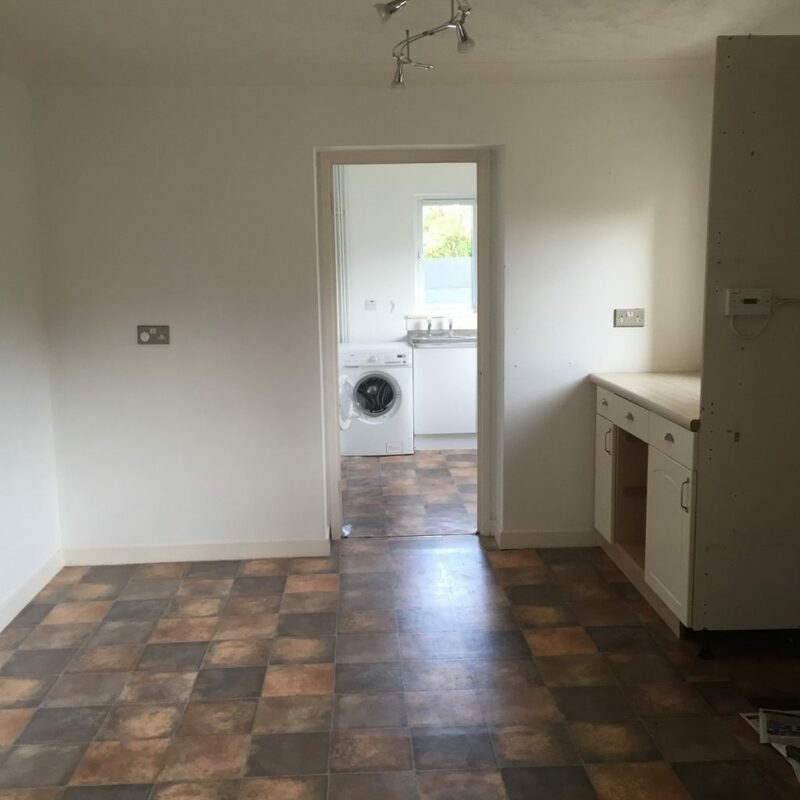 This view is from the kitchen into the utility room and shows where the door used to be. This has since been moved to the right. The doorway here on the right was where it always used to be, and the hole now to the left of this is where the new kitchen access was planned for. 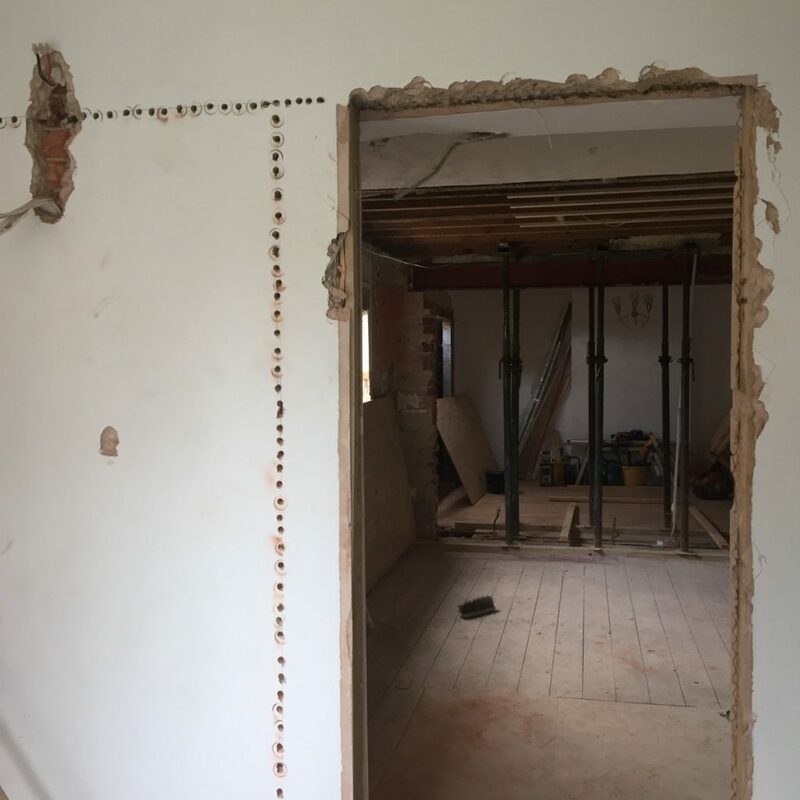 The funny thing here was when the builders actually knocked through the wall, they found an existing doorway still with hanging door, which had just been boarded up! You really never know what you might find! It was also pretty cool to find the retro tiles still in place too. This was where the small kitchen window used to be. We asked them to make it much bigger, to add more light to the new room, and for me (all 5ft of me to be precise! ), to finally be able to see out into the garden! Here you can see the drill holes of where the utility room door would be, before they had blocked up the old entrance. And just a few days later, they had knocked down the wall between the two rooms. 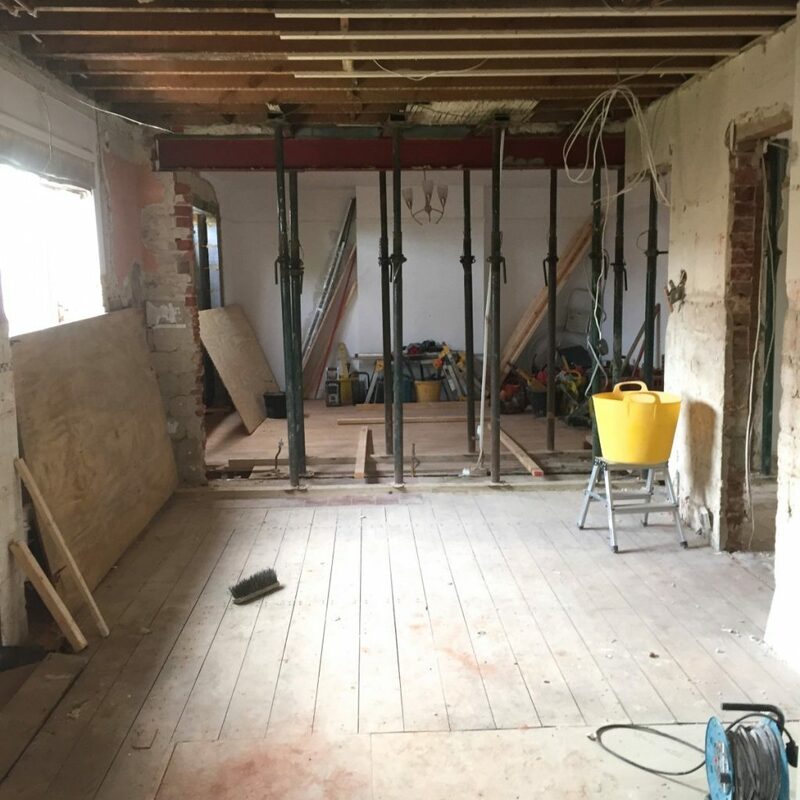 Although this immediately showed how much larger the room would be, it was still so hard to visualise the end result, as with the dark bricks of the wall, and the fact that window spaces were currently boarded up, it really did feel very enclosed and confined. Anyway, I thought I’d do something I don’t usually do, and actually walk you through how it looked before our holiday. So there you go, that’s how it looked before we flew off on holiday. I must say it was both daunting and a relief to be going away for the two weeks, but my lovely parents had agreed to pop in each day and keep their eye on the build work, which really did settle my nerves somewhat! And I must say, whilst on holiday, the only thoughts I had were of pure excitement really, which was a bit of a plus too! So what do you think so far? Can you see all that dust! Previously, your kitchen seemed deserted. While remodeling the kitchen, you first did a very good job by replacing the small window with large one. In addition to light, it helps in ventilation too. What we are seeing on the post is happened due to the dedication of the kitchen remodel company. Remodeling is not an ordinary job. It requires special innovative skills. The professionals foresee the advancement of trend and technology so that the style of your kitchen will not be outdated after few years.